Our Best Dungeon tournament continues with two new titles. 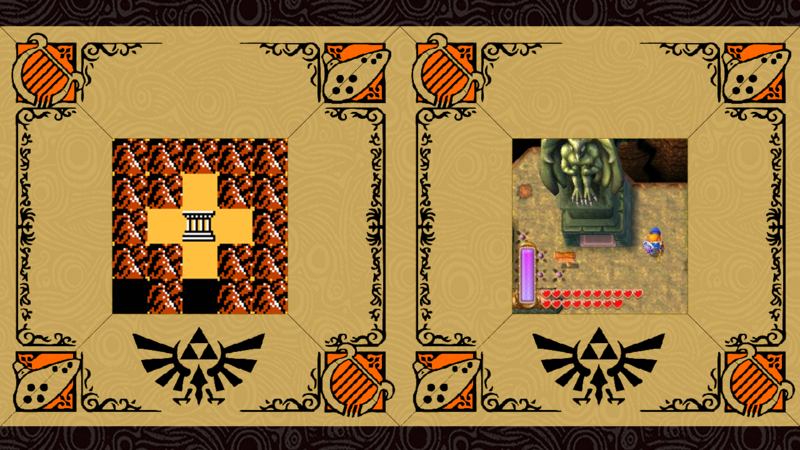 As Earth Temple and Palace of Winds duke it out in Friday’s poll, the winning dungeons of The Adventure of Link and A Link Between Worlds step into the fray. The Adventure of Link is unique — amongst several other ways — in that its dungeons are explored from a side-scrolling perspective. Link travels left and right throughout a labyrinth and uses elevators to move between floors, adding a unique challenge compared to other dungeons of the series. The Great Palace serves as the last of these side-scrolling dungeons, touting the largest and most complex layout of them all. Players will need patience and cunning, and maybe a map handy, to reach the end of this beastly dungeon. With a few pits and false walls thrown in, the palace is the final test of an already difficult game. And we mustn’t forget the boss battles with the Thunderbird and Dark Link, as they truly make this dungeon one to remember. Thieves’ Hideout was a standout in A Link Between Worlds because of its relationship with the game’s setting. While Link explores the dangerous Thieves’ Town, he learns that several crooks and marauders have taken refuge in an underground base, where they are said to hold a Sage of Hyrule captive. Thieves’ Hideout feels much more like a part of the greater game world than your standard dungeon, as Link must first gain access to it by exploring Thieves’ Town. And once inside, progressing through the hideout feels almost like an action movie, as our hero must sidestep security traps and encroaching sentries while protecting a feisty Thief Girl. This dungeon is exciting and fun from start to finish. Who here is glad mases is going to be shaved bald?